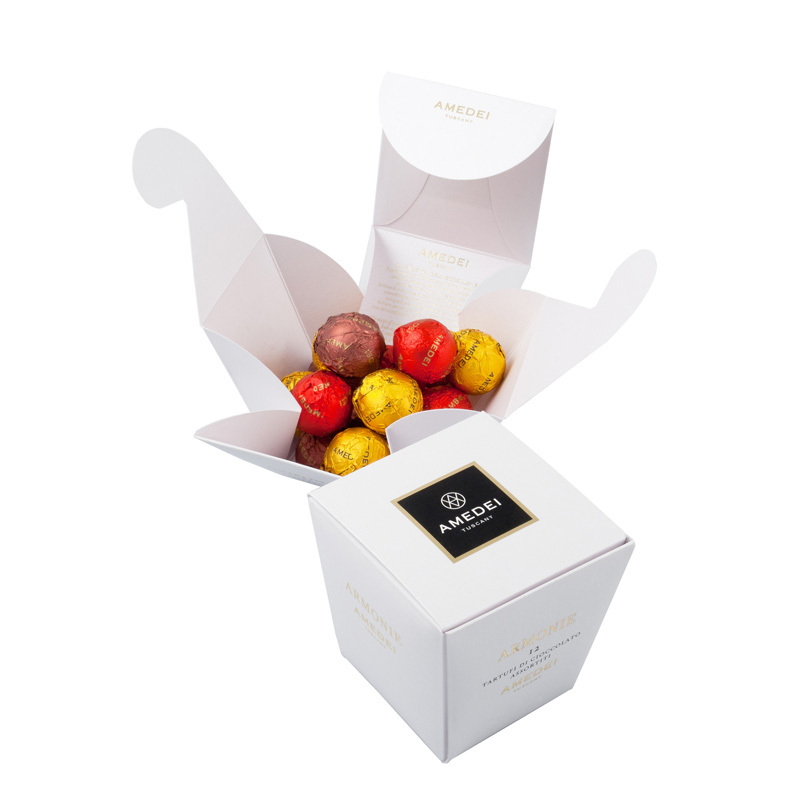 Amedei Chocolate Pralines Armonie Toscane in white box of 12 has a mix of 3 pralines in milk, white milk, and dark chocolate. This box contains following pralines: twelve delicious chocolate creations, kept in a white ceremonial box that opens with the grace of a flower; excellent for weddings and occasions. An exquisite way to discover a new tradition, in three different flavors: praline of dark chocolate with almond filling, milk chocolate with gianduja filling, white chocolate with hazelnut filling.